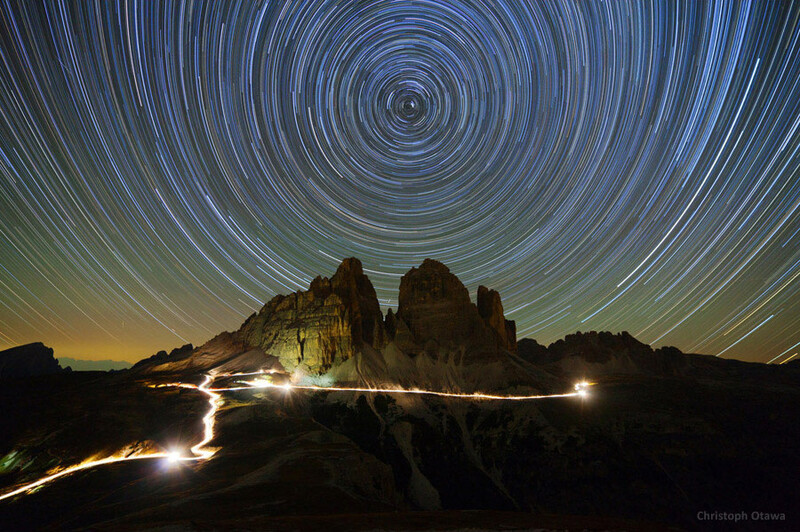 Experience the wonders of the night sky in a slideshow that features the winners of the 2012 "Earth & Sky" contest, presented by The World at Night. Light pollution never looked so good: The World at Night's annual photography contest highlights the beauties of the night sky, but it also highlights the challenges posed by humanity's efforts to light up the night. This year's winners reveal how artificial lighting can add another dimension to the natural wonders of the stars and planets — or spoil the view forever. Hundreds of pictures were sent in from about 50 countries, including exotic locales such as the sub-Antarctic island of South Georgia, the national parks of Reunion Island and the savannas of South Africa, said Babak Tafreshi, the founder and leader of The World at Night. "We received a lot of submissions from Asian countries this year, especially China, India, Iran and Indonesia," the Iranian-born astrophotographer said in an email exchange. He said the message of The World at Night is definitely getting out: "In general, it looks as if TWAN's aim of reclaiming the natural beauty of the night sky and promoting nightscape photography is reaching a growing audience worldwide, while the activities by amateur and professional astronomers and environmentalists to increase awareness on the light pollution issue is truly getting a lot of public attention." This year's contest is limited to images taken since the beginning of 2011, but that leaves a lot to choose from — including pictures of Comet Lovejoy, the spectacular "Christmas Comet" that wowed skywatchers in the southern hemisphere, as well as the stunning auroral images that have cropped up over the past few months. Both those phenomena are represented in today's top-10 roundup from TWAN. Tafreshi drew attention to two potential perils facing astrophotographers nowadays: light pollution and photo fakery. He noted that the increasing glare of city lights was "not just an astronomer's problem," but also "a major waste of energy, and like any other form of pollution, it disrupts ecosystems and has adverse health effects." "Today, most city skies are virtually empty of stars," he said in his email. "About two-thirds of the human population today lives under light-polluted skies, not dark enough to see the Milky Way. Seeing a real dark sky is a must-see experience in the life of each of us, moments that you will not forget in your entire life." Tafreshi also said there's a fast-rising concern about images that may not be telling the truth about the earth and sky. "Unfortunately, a majority of photographers who are interested in nightscape photography are less familiar with astronomy, and the natural look and color of the night sky," he said. "So many landscape astrophotos today are intensely saturated, unnaturally contrasted, and sometimes with totally wrong colors of the sky. We had stunning compositions and amazing landscapes at night, some made by famous photographers, which were ruled out of the contest simply because they were 'overcooked' in processing." You can rely on TWAN's prize-winning pictures to show the true glories of the night sky, along with the glow of the world below. Check out our slideshow, and read more of Tafreshi's observations in the comment space below.